After just over a year of being in business we are very excited to announce that Bokashi Living is expanding. The Bokashi Living team will now be handling all of The Bokashi Bucket‘s customers and orders. This means that even more people will get to benefit from our premium bokashi bran and high quality bokashi composting products. Are you a returning Bokashi Bucket customer? 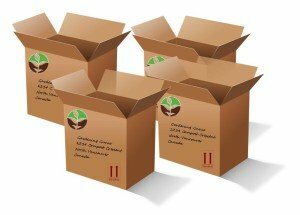 If you have previously bought bokashi composting supplies from the Bokashi Bucket then rest assured that you can continue enjoying the benefits of bokashi composting with our high quality bokashi composting supplies. We stock bokashi bran, bokashi buckets and replacement parts that will work seamlessly with your existing bokashi composting system. We ship our bokashi composters and bokashi bran throughout North America, and the world. Visit our shop to buy our products online. Contact our team for details on shipping Bokashi Living products outside North America. Maybe you have previously purchased the Bokashi Bucket products in bulk? We are proud to serve retailers across North America and we would love to work with you too. Customer service and consistent high quality products are very important to us. Simply fill out our wholesale request form. One of our team will get back to you as soon as possible to discuss our great pricing options with you. Are you new to bokashi composting? If you are new to bokashi composting, then a great place to start is our How to Bokashi Compost page. If you can’t find the exact information you are looking for then please ask our experts a question. 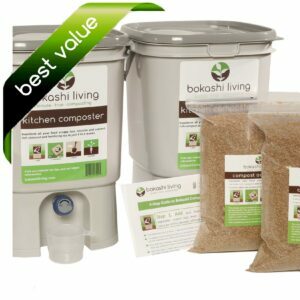 Visit our shop to find everything you need to get started with bokashi composting in your home, school, office…. wherever! We look forward to helping you get the most out of your food waste with bokashi composting!